I found this scan on AnimePaper and felt I had to vector it, because of the magazine lines in it. It was a nice and colorful vector so I wanted to edit it to make it more vibrant than the scan lacked to make it look. OMG! It's so pretty! I haven't watched or read Ouran High School Host Club before, but it looks awesome! You're vector has added on to my wanting to watch and read it! Thanks for sharing ~! Pretty colors. (especially the red) I know you worked hard on this! 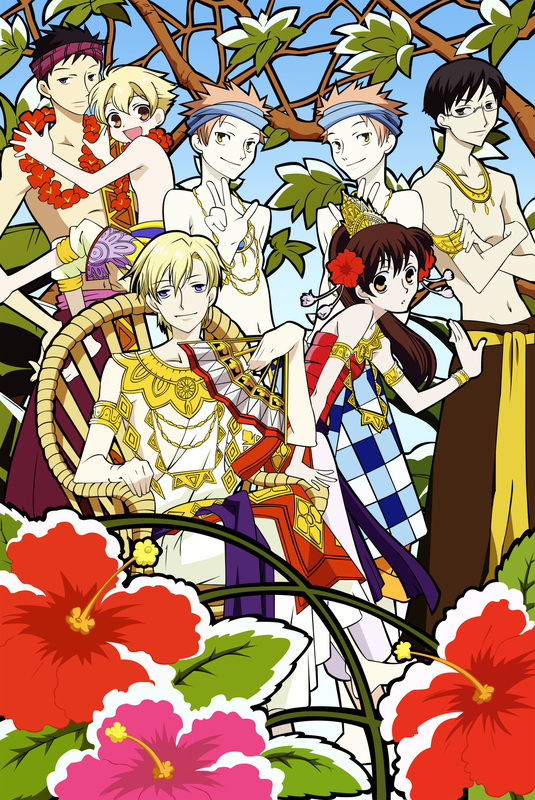 *Jumps up and down in joy and shouting*OUran!Ouran!Yay!I love it! Very detailed and great vector! I'm impressed, really! xD Great job! 'You are soo good at this! The vector is perfect! I simply love what you've done here! I'll feature it at Vectory asap. For now I'll just say that this is wonderfull! wow, nice vector, so much details and such vibrant colours! :) I can see why it took a long time. Nice work! *What a feast of detail, colour, and more importantly... Fun! Not only is the vectoring itslef confident & strong, but there's a real sense of fun & characterisation that's been captured. Brilliant! A great wallie. It looks like it took a lot of time! Very good! Very nice vector, specially their clothes. Awesome. I love this picture, its awesome! I love how everyone is dressed too!